Are you interested in furthering your coaching career? Do you desire to grow and improve as a coach? Do you have a passion for teaching the game of basketball and mentoring youth? Often times coaches are given a bag of basketballs at the beginning of the season, have a quick all coaches meeting and than your left on an island by yourself for the remainder of the season. TRBO desires to change that. We have people in place to “coach the coaches”, check in with you and provide the support you need to be successful. A place to network and get to know fellow coaches is also neglected. This makes it difficult for coaches to move up the ladder and further their coaching career. 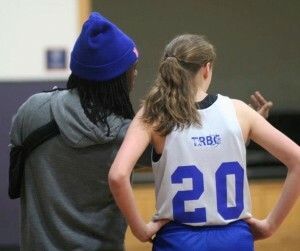 TRBO is structured in such a way that you will get to know high school coaches in the area, the college coaches and the basketball community as a whole so you can network and seek out more coaching opportunities. We have many success stories of former youth coaches who are now on local high school staffs, coaching elite players in the area and even on college staffs. If you have the passion and desire to succeed as a basketball coach we want to do all we can to aid you in reaching your coaching goals. *We reimburse for coaching related expenses. *We have a “Coaches Coordinator” whose purpose is to seek out education opportunities for our coaches. *We offer training and opportunities to become better at the trade. *For our new coaches we will seek to match you up with a mentor to help with questions, give input, etc. *We have both a “Coaches Coordinator”, an “Area Youth Director” and a “Youth Program Coordinator” to support coaches and who are available for guidance. *We have systems and organization in place to ease the burden and drama that can come with coaching in the 21st century. *In the off-season we seek to connect you with the high school coaching staff to help you learn, grow and become connected to the overall program. *We provide socials for all TRBO coaches to meet, discuss and learn from guest speakers and each other. *Because we work with many different coaches in the area from college on down to youth; coaching opportunities will present themselves for those who excel and have a passion for teaching the game and young people. *We have multiple branches of what we offer the basketball community and thus you may be invited or encouraged to coach in another branch. Like running clinics or camps through our player development branch or assisting a summer elite team. Overall we are passionate about providing a place for coaches to excel, be appreciated and supported as they take on a much needed role in our community as a youth mentor.